ISBN 9780193368415. 11 x 7 inches. 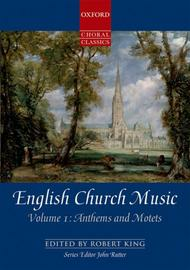 English Church Music assembles in two volumes around 100 of the finest examples of English sacred choral music of the past five centuries. 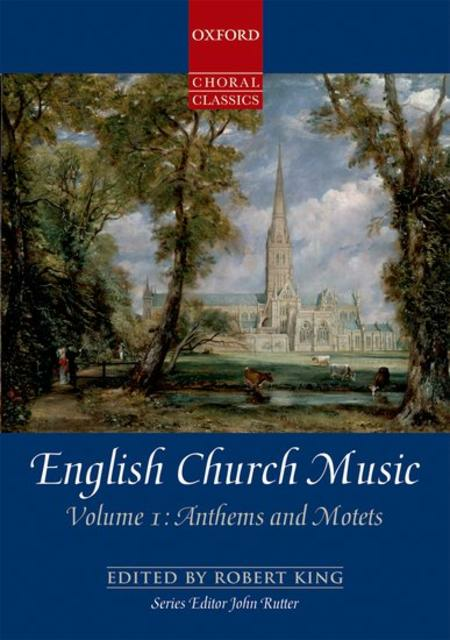 The first volume, dedicated to anthems and motets, presents both favourite and lesser-known works, from Renaissance polyphony to the works of the great 19th- and 20th-century composers.